Hello MIUIers, hope you are doing well. Today we talk about basic problems which you face in new Redmi Y1 during the day to day usages. As you know Redmi Y1 is a selfie oriented phone so don’t expect more in the performance department. But this phone surely better than others in this price segment. Here we talk about all problems like battery issues, camera issue, selfie issue, performance issue, MIUI issue, data problem, heating problem etc. As we know Redmi Y1 comes in two models Redmi Y1 & Redmi Y1 Lite. Both phones are almost same. The only difference in these phones is Camera. Redmi Y1 have 16MP front camera with Selfie-light and Y1 Lite comes with 5MP front camera. Redmi Y1 have Large 13.9cm (5.5) display with One-handed operation support. Both Y1 & Y1 Lite comes with dual SIM support. You can use VoLTE services with Jio and other operators. Here we talk about Redmi Y1 problems which you face during phone usages. The problem which you faced may be occurred because of hardware issue or a software bug. You may also face a problem after MIUI update which you receive in updater app. 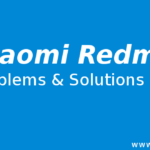 So here we talk about all problems and solution no matter which is related software or hardware. 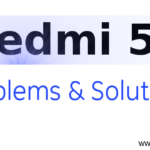 here you find data problem solution in Redmi Y1, Data connection error, Mi Message functionality in Redmi Y1, Hanging problem solution in Redmi Y 1, Heating solution, Camera problem solution, Charging issues, original charger problem, USB cable issues, motherboard problem, original motherboard cost, sound issues in speakers etc. 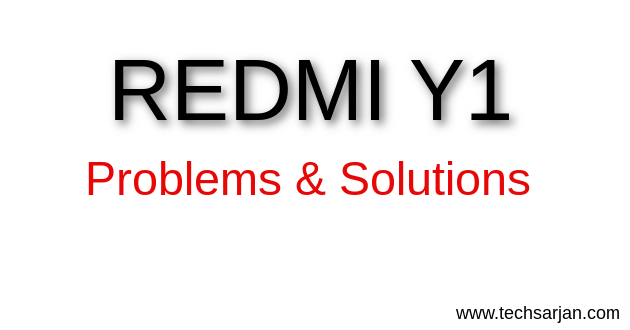 Here we share all basic problem with solutions which many users face during Redmi Y1 usages. Problem: I am unable to create Mi account on Redmi Y1. How to Create? Is it necessary? Solution: You can easily create Mi account. on the login screen, you see a signup option there. tap on that option and fill the details like ur mobile number password etc. 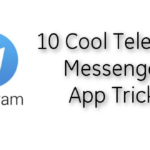 system sends an OTP on your number. verify your number. Voilla !! now your mi account is created. For step by step guide please follow this guide. 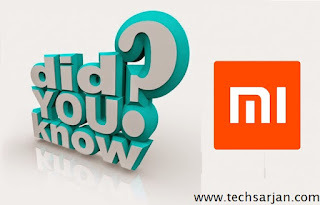 Without Mi account you can’t use many Mi services like Mi Cloud, Mi Message, Mi notes sync, MI File hide and much more. Problem: I am unable to use Mi Message service on Redmi Y1? Solution: Make sure you logged in mobile with Mi account. and your SIM and Mi account mobile number are same and please ensure the next person which you want to send Mi message have a Mi phone. also, check Mi sync must be on. If these works you do on your phone then you can use Mi Message in your Redmi Y1 easily. Here you can read detailed guide for Mi message activation guide and problem solution in Mi message. Problem: I forgot my pattern lock Redmi Y1? How to forgot pattern lock? Solution: If you are a real owner of your phone then you can easily reset pattern lock/password on Redmi Y1. Please enter the wrong pattern for more than 5-10 times, now you see a forgot password option there. tap on that option and enter your details now you can reset your password easily. For step by step guide please read this pattern forgot unlock guide for Redmi Y1. Problem: My Redmi Y1 hang too much during normal usages. What I do? Solution: Normally it’s happening because of cache data. So we recommend you please open Security app and use the clennar app and clear all data which is not useful for you. like Xiaomi logs, WhatsApp cache data, Xender data, shareit data and other app cache data. If you still facing hanging issue in Redmi Y1 then you need to go for memory optimization solution. Please read this guide to solve Redmi Y1 hanging issue through the help of memory optimization. The Same you can follow if you feel your Redmi Y1 lagging in some cases like one second problem during app clear on recent screen. Problem: Battery drain Problem in Redmi Y1, how to solve? Solution: If you tired because of fast battery drain in Redmi Y1 then you can solve this issue easily. Normally Redmi Y1 battery enough for two days for normal usages. If you are a heavy user then Y1 still gives one day backup. But if your Redmi Y1 battery draining to fast then surely need to worry. First, you need to check background apps activity. maybe some app has auto active permission and they are running in the background that’s why you get battery drain problem. You need to check battery stats and analysis which activity consume more power. after that take necessary actions. You can also use battery save profile which helps you to save battery. Normally this function auto active when your phone battery reach 20% but you can activate this function anytime through manual activation. Please don’t download any battery saver app or any other ram cleaner app, MIUI is enough to handle all this task. 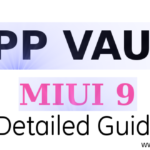 Now you can experience more features in latest MIUI 9 OS. If you just updated on MIUI 9 and facing battery issue in Redmi Y1 then please take backup and reset your Redmi Y1 Mobile. 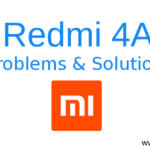 Problem: Redmi Y1 Charger not working? Solution: If you brand new Redmi Y1 phone then maybe you face this issue. As you know your phone Redmi Y1 easily charge with other charger but not charging with original charger and cable. Don’t afraid. Please change the cable and try again if phone charge perfectly then you need to change data cable. Please visit nearest Mi service center with your original phone invoice and change your data cable. Mi Products have six months accessories warranty. Problem: Redmi Y1 motherboard price? original screen price? Solution: If you have any issue with your motherboard and your phone out of warranty then you can buy Redmi Y1 original motherboard from Mi service center. same thing you can also buy Redmi Y1 original screen. Here you get all spare parts price list of Redmi Y1 mobile. Problem: Redmi Y1 Mic issue, next person on call can’t able to hear my vocie? Solution: If you are facing mic issue during a voice call on Redmi Y1 then please first reset your mobile and then check. This will mostly happen because of OK google or google assistant. If you are using Ok Google service then please disable this option. For more step by step guide to solve mic issue please follow this guide. Problem: Want to Reset Redmi Y1. How to Reset Redmi Y1 mobile? Solution: If you are thinking to Reset your Redmi Y1 mobile then please first take whole phone backup.Once you take backup then you can go to reset option.you can directly reset your phone but in that condition, you can’t recover your stored data. So first take backup your data. For backup and restore process you can follow this guide. For reset Redmi Y1 you need to go to settings -> Additional settings -> Backup & Reset option. Through this option, you can easily reset your Redmi Y1 mobile. Here you also get some options like you only want to reset all settings or you want to format all the data which stored on the phone. You can also take a help of Mi cloud to recover your data after phone reset. Problem: Capacitive touch button not working of Redmi Y1, how to solve this issue? Solution: Make sure you don’t disable these buttons from settings. because MIUI has a function, you can disable these touch button when you need. So first make sure you won’t disable them. Now still not working then try to reset the phone if still not solved then you can go for on screen buttons. Quick ball a function in MIUI which allow you to use these buttons on the screen. If your screen touch also not working then don’t need to worry. you can still use your phone. Just follow this guide to handle this situation. So now you can easily solve touch button problem of your Redmi Y1 mobile. Problem: Jio VoLTE call problem solution in Redmi Y1 Mobile? Solution: Redmi Y1 supports VoLTE network and calls. if you facing any issue then please follow this guide. Problem: Can’t able to good selfie in Redmi Y1 mobile, how to solve this issue? Solution: As we know Redmi Y1 is a selfie oriented phone. If you not satisfied with camera pictures then surely its need to worry. Redmi Y1 have a good camera you can tweak your selfie pictures through the help of many apps which are available on Google Play store. If you want to buy best earphones for Redmi Y1 then here we shortlisted some earphones which best suitable for Redmi Y1 mobile. You can buy from here. You get all MIUI updates in Redmi Y1, No matter which is MIUI 9 update or MIUI 10 update. Redmi Y1 hardware is comfortable for next 2 major updates from MIUI team. We cover all the possible topics, however, if you still face any other issue then please tell us via the comment section. we will try to escalate the issue and give the solution. Update your device before connecting” Great company has given a solution but where to go to update the device,no solution. Lot more is there but these are major drawback. Customer are not aware of these basic defaults No One Will Buy This Product . If u have any simple solution tell me or take back u mobile and pay me back my hard earn money.